My husband is over the moon with his new slippers. We had a tan pair some years ago and have been looking for another pair to replace them. And hey presto, the navy ones are just great! Thanks everso much. These slippers are Fantastic. My husband loves them. 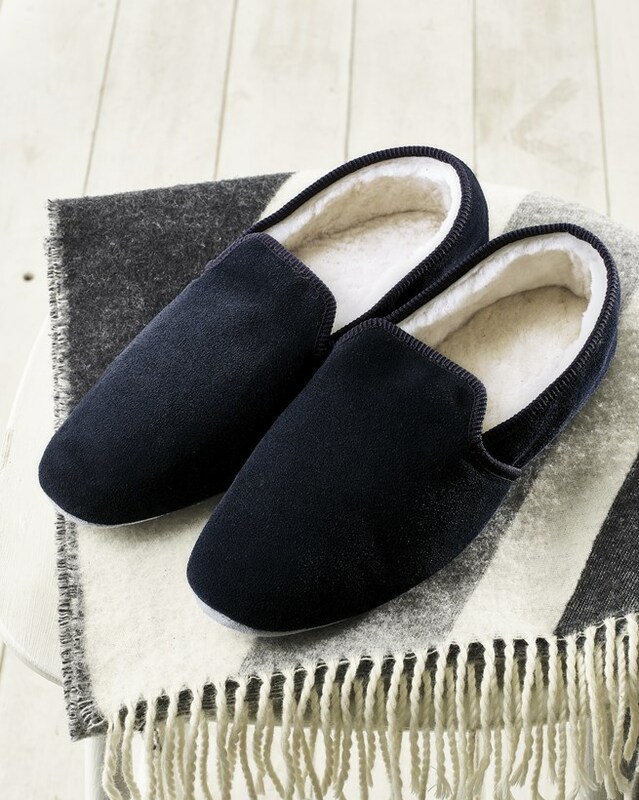 They are really smart but very comfy (he says) and so much nicer than ordinary moccasins which can look scruffy. They are true to size and description (no nasty surprises, which is always a relief. And prompt delivery. Would thoroughly recommend them and Celtic to anyone. The slippers are excellent, my husband is delighted to have warm feet. Fabulous slippers - my husband is on his fourth pair!